If you’re interested in LREditor, you may want to know a bit more on how it works. There are a few videos to help you on the Youtube Channel here, but this topic will provide you with more details. That doesn’t prevent you from watching the videos, though . You need to have a project set. If it’s not the case, you can watch this, or read this post to the end. Or you can access the github directly here. Once you have it, unzip the file ( wherever you want to ). You should now have a folder named “/LREditor”. To launch the editor, go in the LREditor folder and search for a file named “lreditor-your_os”. You need NodeJS installed for this to work (available here). 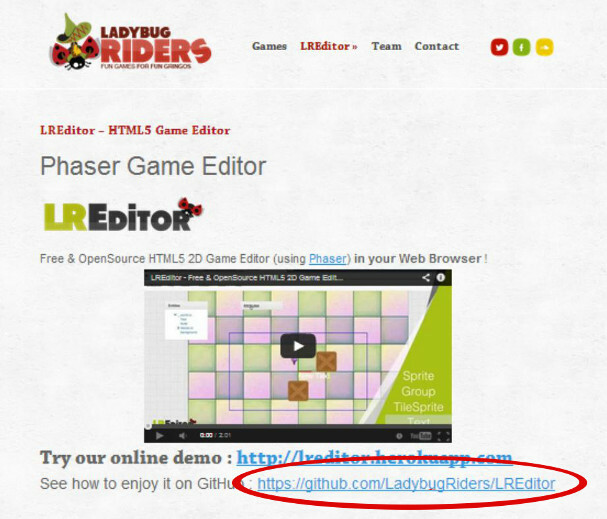 You should now see the LREditor in your browser !